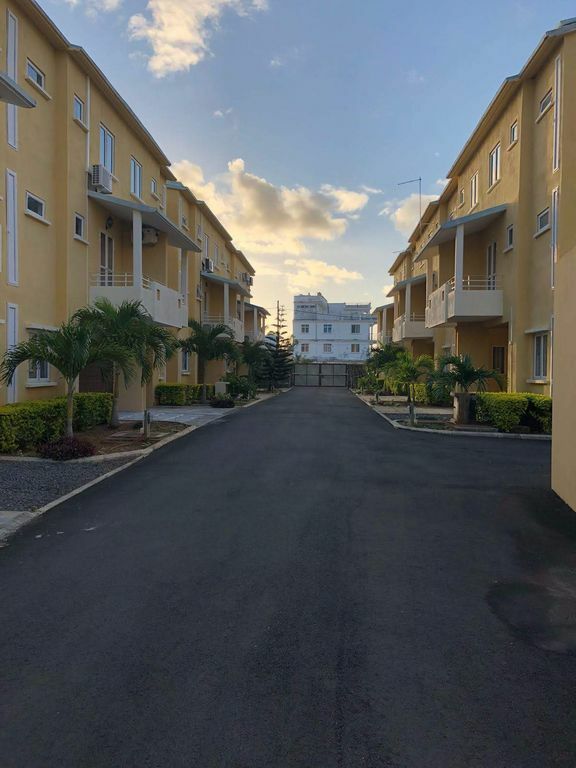 Fully furnished apartment spread over 3 floors in a secure compound, this place is ideal for those seeking a quiet place to spend a weekend or a few days with friends or family. Located in the authentic and friendly fishermen village of Grand Gaube, this apartment welcomes guests looking for some rest but willing to keep in touch with the business of Grand Baie and its activities. It's location makes it ideal to visit the most interesting attractions in the North of the island. The apartment is spread out on 3 floors. The ground floor offers a cozy living and dining room, a fully equipped kitchen, a toilet/sink, a private parking as well as an airy open terrace with a beautiful view. Guests may choose to organise a barbecue here if they so wish. (barbecue equipment may be provided upon request). On the 1st floor, there are 2 beautiful spacious rooms, with individual balconies. The rooms are furnished with double beds and large storage spaces/wardrobes for personal effects, clothes, luggage etc. The bathroom is equipped with an overhead shower, toilet, sink and a washing machine. On the second floor, the door opens to a majestic master bedroom with a King size bed and a big open terrace. The bathroom is equipped with a jacuzzi, toilet and sink. Hot and cold water is available throughout the day in all bathrooms and the kitchen. The common areas (outdoors), gardens and lawns are well kept and cleaned regularly. Care-taking and security service, a common swimming pool (including a kids pool) and private car park are among provided facilities. The compound is guarded 24/7 by security guards, and also by security cameras. The main gate is electronic and can be remotely controlled. A filter coffee maker which brews lovely warm filter coffee. Filters, coffee beans and sugar provided. Private kitchen for the sole utilisation of the tenants.